Along with our uplifting quote, we put together this video of our dance Grown Woman showcasing our quote, "YOU CAN DO WHATEVER YOU WANT." We are retiring this dance so we thought we'd make a video to share the message from the dance. Click here to see the video!!! After viewing the video, if you liked the message, please share!!! We want to share our message with as many people as possible and that's only possible with your help!!! It seems each new year we start out with beautiful goals that stay just that, beautiful goals. Why not choose one and start on it TODAY! 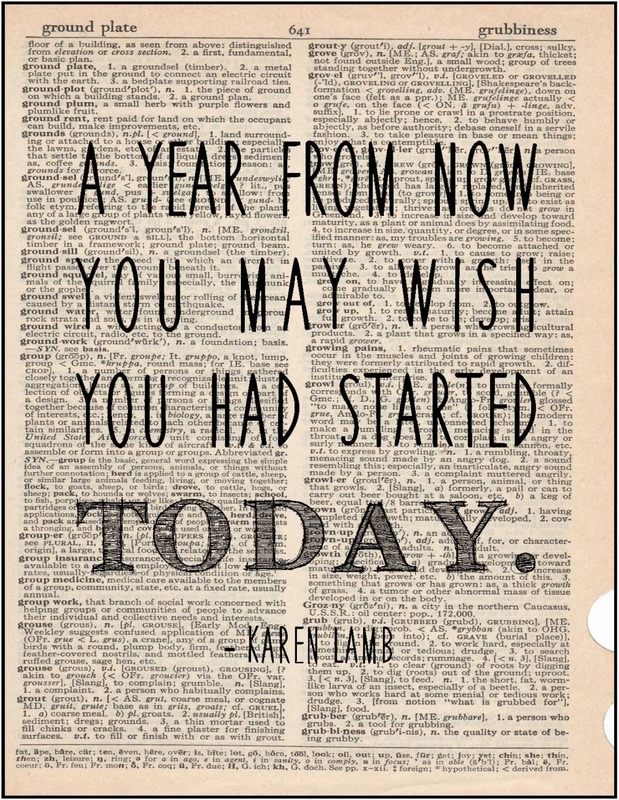 Don't look back wishing you would have started sooner, do it today!!! NO TIME IS BETTER THAN THE TIME AT HAND. Take one step closer to being who you want to be...START TODAY!